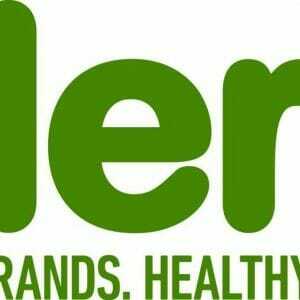 iHerb Coupon Codes - April 2019 - $10 Off Promo Code! Save 10% Off For All New Customers! Get 10% off your first order with iHerb when you use this coupon code. Take ten percent off Fungiology products until February 27th. No promo code required. From now until February 27th, save 10% off oral care products. No promo code required: add it to the cart and the discount will automatically take effect. Save 10% off vitamin C. No promo code required. Ten percent off all healthy hair products at iHerb.com. No promo code required. Save 15% off remedies for cough, cold and flu when you use this promo code at checkout. iHerb is an online retail company that specializes in selling nutritional and beauty products, and they promise a complete satisfaction guarantee for their customers. iHerb was established in the year 1996 and was founded by Ray Faraee. The company’s headquarters is located in Moreno Valley, California in the United States. iHerb, being an outstanding healthy products supplier has an approximate 35,000 health products that are guaranteed to be top of the line. Some of the products available at iHerb are; nutritional supplements, bath & beauty products, herbs, skin care products, and also some products for your pets. With the guarantee of keeping their products fresh all the time, iHerb has been in partnership with carriers domestically and internationally to provide the cheapest possible shipping service for customers around the globe. iHerb is currently available in all major countries, and it targets a wide variety of customer needs while also expanding its reach to all other countries in the world. Maintaining its reputation by providing completely fresh products, iHerb guarantees that all their distribution centers are climate- controlled and completely clean. With these kind of principles when it comes to cleanliness and sanitation, iHerb earned its GMP (Good Manufacturing Practices) certification which is awarded by NSF International. It’s continuous good service has more than one million customers completely satisfied, which led to being ranked number one for seven consecutive years by Consumer Labs. iHerb was also awarded the Elite Seal by an independent firm named Stella Service for its outstanding customer service performance as an online retailer. iHerb boasts of having more than 1,200 brands and also having approximately 30,000 brand name products that may also be available in other pharmacies and food stores, but are relatively 30%-50% cheaper when bought from iHerb. iHerb’s inventory rate annually is estimated at 8.1 times, which is on the same level as the industry’s other highest sellers. That means that the products only stay in their shelves for a 45-day average which completely guarantees freshness, all the time, every time. Coupon codes are a way to get a discounted price for the items that we want to purchase at iHerb. To get these discounted prices once you have acquired coupon codes, the codes must be entered on the iHerb website when trying to make a purchase. Just go to their website at iHerb.com, or download the app on Google Play Store or from the Apple Store. Shoppers must first make their own account by filling up the required information when you click ‘My Account’ under the word sign in. There will be a drop-down menu and you will see a ‘Create my Account’ option. Once you have created your own account, you may start shopping and start choosing the products that you want to buy. The product specifications will pop-up when you click on a product together with the ‘Add to cart’ button. When the ‘Add to cart’ button is clicked, the shopping cart icon on the upper right corner of your screen will pop up a window with the latest choice that you made. Upon completing your choices, just click on the shopping cart icon and it will bring you to another window that will show all the items including the quantity and the actual price of each. On the upper right side of the screen, you will see the ‘Savings’ word that has an entry bar with an ‘Apply’ button beside it, this where you can enter the promo or reward codes that you have and then clicking the ‘Apply’ button will activate the code. The screen will then refresh and the discounted price will then appear. Upon completing this process, you may click on the ‘Proceed to Checkout’ button which will direct you to the payment information screen where you need to choose the mode of payment that you will prefer. iHerb can also be reached thru their customer service that is available 24-hours a day, seven days a week. The 4/7 Help’ button can be found on the top-most part of the screen, just right beside the sign in option. iHerb provides customers with complete product coverage which also allows either return or refund of the product. To return a product, simply sign in to your iHerb account and click on your ‘Order History’ page and look for the ‘Order Number’ that is designated to that specific item that you want to return. Then click on the ‘Refunds/Returns’ button which is located on the right side. The ‘Return Form’ needs to be completely filled out in order for you to receive the ‘Return Label Email’. This process may be expedited by uploading a picture of the item that you have received, in which orders that have been posted as ‘Delivered’ within the 60-day period can be processed for return/refund.